Welcome to the June 2017 newsletter from the Global Health Policy Center (GHPC) at the Center for Strategic and International Studies (CSIS)! We invite you to catch up on our latest content. Training the Informal Health Workforce in India: A CSIS team recently traveled to India to examine U.S.-India health partnerships and the prospects for strengthening engagement in the future. The research identified promising health innovations with scale-up potential. Richard Downie, Deputy Director of the CSIS Africa Program, wrote about one of them—a program to train informal healthcare providers in West Bengal—in his latest blog. Look out for a longer report and launch event in the summer. Achieving TB Milestones Through Last Mile Delivery in India: India has the world’s largest burden of tuberculosis (TB). The government has recently committed to raise TB as a national priority. With such a colossal burden, India may do well to scale up its promising health innovations. In this blog, Deen Garba, Program Coordinator and Research Assistant, describes how one organization in South Delhi has used last mile delivery to make gains in TB. What’s to Be Done to End the Opioid Epidemic? : Opioid abuse has reached epidemic levels in the United States, and despite significant public and private efforts to curb the epidemic, addiction and overdose numbers continue to rise. On January 24th, CSIS hosted then Surgeon General Vivek H. Murthy to discuss evolving public health approaches to the epidemic. In a recent blog post, Program Coordinator and Research Assistant Lily Dattilo discusses his proposed steps towards ending the epidemic: tightened prescribing practices through physician training and education, public education, expanded access to treatment and to overdose reversal drugs like nalaxone, and stigma reduction. Amidst polarized debate over the future of America’s health system, bipartisan commitment to a compassionate public health approach is essential to ending the epidemic. Please stay tuned in the coming months for more CSIS analysis of domestic and international dimensions of the U.S. opioid epidemic. Munich Security Conference: On May 9, the GHPC and the Munich Security Conference (MSC) co-hosted a roundtable discussion on global health security. The event was part of the MSC Foundation's Health Security Series first launched last year. The discussion focused on how to generate new thinking around such issues as pandemic preparedness, the threat posed by bioterrorism to international security, and the potential security risks of emerging genetic technologies like CRISPR. A rapporteur’s report of the proceedings is forthcoming. Atlanta Summit on Global Health: The 6th annual Atlanta Summit on Global Health took place on May 8, organized by CSIS, CARE USA, McKinsey Social Initiative, and the World Affairs Council of Atlanta. This year, the focus was on adolescent girls and young women in low-income countries, which provided an opportunity for Helene Gayle, CEO of the McKinsey Social Initiative; Janet Fleischman, Senior Associate; and me to highlight the work of the CSIS Task Force on Women’s and Family Health, as well as Janet’s recent visit to Malawi. The Summit included high-level speakers who provided powerful keynote presentations – including the Mayor of Atlanta, Kasim Reed; CDC Acting Director Anne Schuchat; and US Global AIDS Coordinator Ambassador Deborah Birx – focusing on the imperative of addressing the needs of this population. Other panelists included Michelle Nunn, CEO of CARE; Beatriz Perez, Chief Public Affairs, Communication and Sustainability Officer for Coca Cola; and Shawn Baker, Director of Nutrition at the Bill & Melinda Gates Foundation, as well as other experts from CARE, ICRW, Yale University, and CDC. The summit was preceded the prior evening by an engaging and informative dinner conversation with many of the speakers and organizers of the summit about the issues facing adolescent girls and young women. 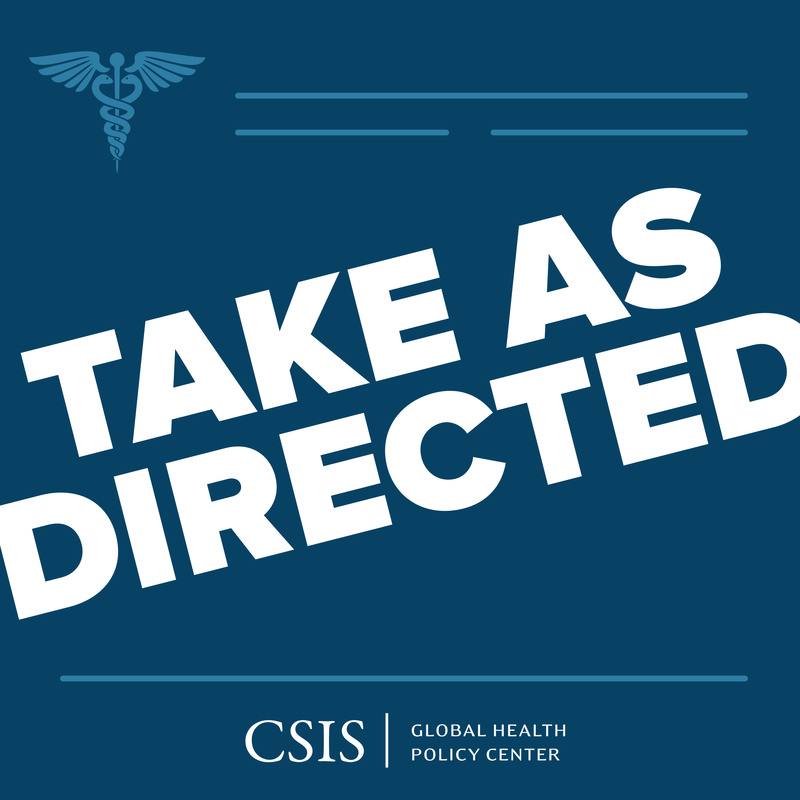 The Week in Health: Election of Tedros as WHO Director General and President Trump’s FY18 Budget Request: Take as Directed is introducing new weekly episodes focused on timely issues, events, and news in global health policy. These weekly episodes will be in addition to our usual programming. This is the first current events episode. It focuses on the main outcomes from the World Health Assembly (WHA), the election of Ethiopia’s Tedros as first WHO Director General from Africa, the implications on global health of President Trump’s FY18 budget request, and HHS Secretary Price’s trips to Liberia and the WHA. This episode, which was hosted by Sara Allinder, Deputy Director and Senior Fellow, included Lindsay Plack, Director of Government Relations for the U.S. Global Leadership Campaign; Nellie Bristol, Senior Fellow; and myself. A News Curator’s Take on Current Global Health Issues: Andrew Jack has worked as a journalist for the Financial Times since 1990. He runs the curated content team, which picks the best news and analysis from the FT and the rest of the web. His newsletters include FirstFT and FT Health. Andrew was previously Deputy Editor of the analysis section, Pharmaceuticals Correspondent, Moscow Bureau Chief, Paris Correspondent, Financial Correspondent, general reporter and corporate reporter. He is author of the books Inside Putin’s Russia and The French Exception as well as numerous specialist reports, and has appeared on the BBC and other media outlets. In this episode, which I moderate, he discusses FThealth; the Theresa May government and foreign aid; the election of the next WHO Director General; and international drug pricing and access. Outcomes from the 37th Global Fund Board Meeting: The Global Fund’s 37th Board Meeting took place on May 3-4 in Kigali, Rwanda. This was Executive Director Mark Dybul’s last Board Meeting and the first meeting since President Trump took office. In this episode, which I hosted, Jen Kates, Vice President and Director of Global Health and HIV Policy at the Kaiser Family Foundation, and Chris Collins, President of Friends of the Global Fight, discuss outcomes from the Board Meeting and the search for the Global Fund’s next Executive Director. Pink Ribbon Red Ribbon and the Fight Against Cervical Cancer: Celina Schocken is the former CEO of Pink Ribbon Red Ribbon, an independent affiliate of the George W. Bush Institute that focuses on cervical and breast cancer prevention and treatment. In this episode, which was hosted by Janet, we asked her to speak about the organization’s work, including why cervical cancer screening should be part of HIV and reproductive health, new innovative technologies, and an April delegation led by President George W. Bush and Mrs. Laura Bush to Botswana and Namibia. Task Force Member Steve Davis on Innovation and More: Steve Davis is President and CEO of Path. He was also a member of the CSIS Task Force on Women’s and Family Health. This episode is part of a series of episodes featuring Task Force members. In this episode, which I hosted, Steve reflects on Path’s mission, the importance of private sector engagement, and the role of innovation in women’s and family health. Task Force Member Jeff Sturchio on Private Sector Engagement: Jeff Sturchio is President and CEO of Rabin Martin. He was also a member of the CSIS Task Force on Women’s and Family Health. This episode is another in the Task Force member series. In this episode, which was hosted by Sara, Jeff reflects on the role of the private sector in women’s and family health. Brazil: Senior Associate Katherine Bliss and Program Manager and Research Associate Chris Millard traveled to Brazil the week of May 21 to examine Brazil's approaches to health security and learn about U.S.-Brazil cooperation on health in the context of the 2015-2016 Zika outbreak and 2016 Olympic Games in Rio de Janeiro. The bilateral relationship on health has evolved from one focused on development assistance for health in the 1950s and 1960s to one of technical collaboration, and even trilateral cooperation. As Brazil digs out of economic recession and confronts multiple political crises, it will be important to sustain cooperation on such issues as disease surveillance and response, as well as biomedical research, and to continue to identify opportunities to engage Brazil in global health security efforts. A full trip report will be forthcoming. Switzerland: Nellie attended the World Health Assembly (WHA) May 22-27 in Geneva, Switzerland. Health ministers from around the world, including HHS Secretary Tom Price, voted on the next Director General for the World Health Organization, deciding after three rounds of balloting to elect Tedros Adhanom Ghebreyesus. Tedros is the first African to serve in the post. On July 1, Tedros takes over for Margaret Chan, who ran the organization for 10 years. This was Secretary Price’s first WHA and he spoke in several venues quite positively about the role of WHO in the global health infrastructure, particularly in infectious disease control, while urging the organization to pursue further reforms in transparency, accountability, and human resources. He also encouraged continued attention to global health security and spoke of the importance of completing global polio eradication. The WHA also approved a 3-percent increase in assessed contributions from member states and requested the Director General to finalize a strategic plan for the transition of polio-related assets by the end of the year.